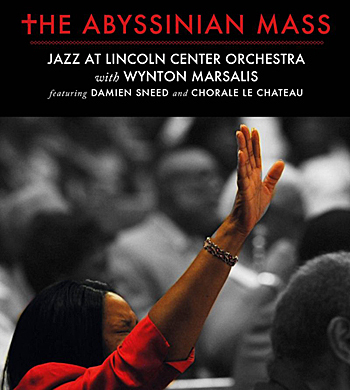 The exaltation and the exhilaration at The Abyssinian Mass by the Jazz at Lincoln Center with Wynton Marsalis featuring Damien Sneed and Chorale le Chateau is palpable from the opening “Devotional” through the “Sermon – The Unifying Power of Mercy”, the “Doxology” and final “Amen”. So is the fervour and solemnity of “The Lord’s Prayer” and the “Offertory”. It is a Jazz mass. However, all of this is performed without compromising its sacred monumentality; and its intimacy too. 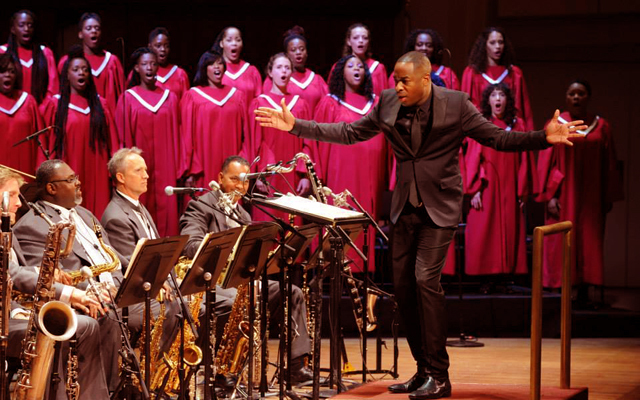 And while there is Wynton Marsalis, its composer, and the Jazz at Lincoln Center Orchestra, as ensemble and soloists, who perform the music of this mass to distinction, much praise must also go to the glorious voices of Chorale le Chateau and Damien Sneed who help create a sound-world so magnificent and well-upholstered that there is never a moment when the listener is uninvolved in this more-than two hour Mass. Indeed this is an exceptional account of praise and worship from all points of view (which may also be experienced from the accompanying DVD). All of the material is sung in English although much of this material was originally written in Latin; the composer has rightly thought to have preferred the work to be sung in the audiences’ language (in English-speaking countries. One is not sure, however, what he might do in event that The Abyssinian Mass is performed in, say Greece, in Russia, or in Egypt but then the liturgy of the Orthodox and the Coptic Churches is quite a different story). But also, what is wholly exceptional here is the diction of both soloists and choir of the Chorale le Chateau. You can hear every word without referring to the text printed in the booklet. The soloists from the choir of the Chorale le Chateau sing their parts flawlessly – from Marvin Lowe’s gloriously twilit tenor to Christine Fanuel’s clear, bright soprano in “Devotional” to the gravitas of Jorell Williams’ bass and Nicole Phifer’s dark satin alto – and every voice is lifted to the rarefied realm. The same must also be said of the soloists of the Jazz at Lincoln Center Orchestra who play with infinitely more sensitivity than any gathering of virtuosos. Much praise is owed to Wynton Marsalis (quite apart from his composing genius that is on display here), and to Damien Sneed as well; both these maestros energise or relax the music together and separately, making more magnificent and ear-catching the details they choose to highlight at every turn throughout Discs One and Two.